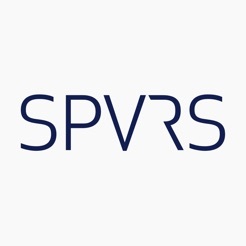 Tottenham Hotspur proudly presents SPVRS, an interactive app that utilises Virtual and Augmented Reality to bring our New Stadium to life. SPVRS takes its name from the Stadium Project Virtual Reality Suite, the showcase for Premium packages at our New Stadium. Hold the stadium in the palm of your hand and stand on the centre of the pitch as you explore London’s newest Sports and Entertainment destination. 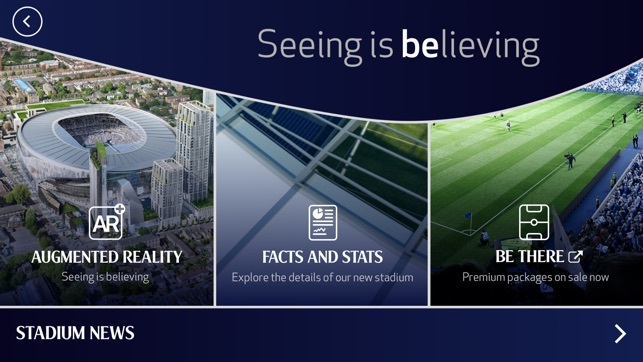 Augmented Reality: Using a special tracker image, the Augmented Reality technology allows you to take a closer look at the New Stadium. 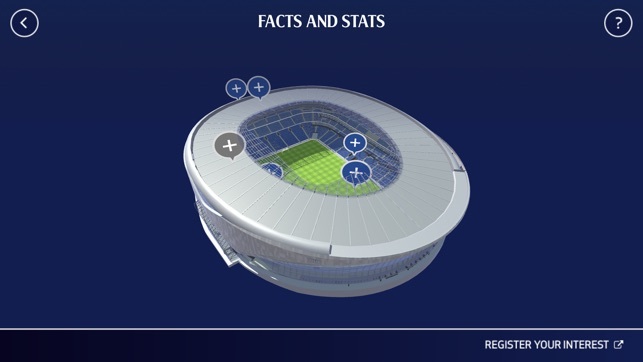 Rotate the stadium to see all four sides and tap the ‘360’ button to be transported to the centre spot of the pitch. 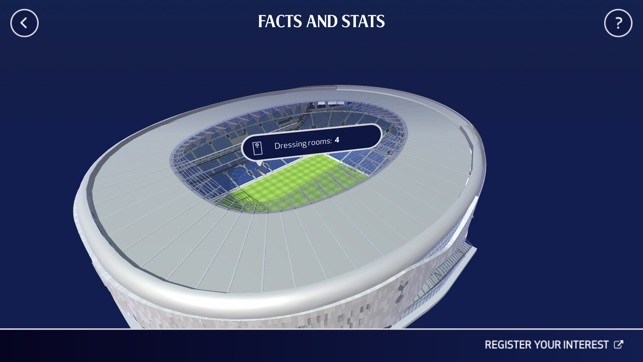 3D Stadium: Take a look at the New Stadium facts and stats. How many seats will it have? How tall will it be? Find out here! 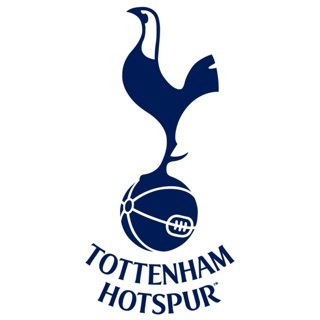 Stadium News: Keep up-to-date with all the latest news from the building site with our New Stadium news feed. Updated stadium & 360 content. 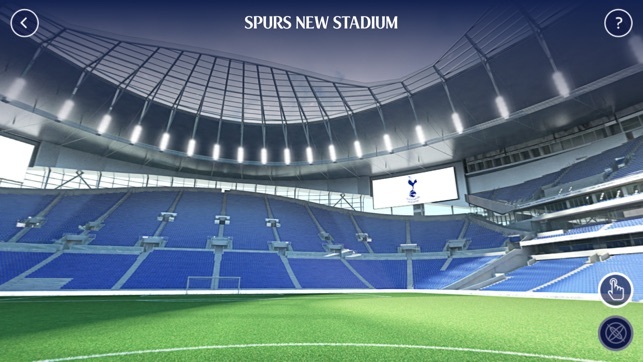 This is great you can see the whole ground and what this great place will look like I can also visit my season ticket seat as well nice one. 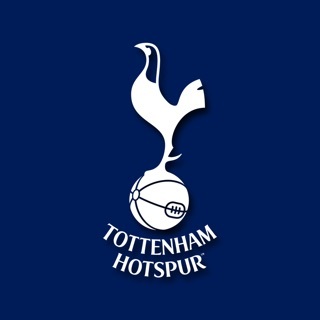 I love Spurs but this is rubbish, awful journey and need a second device to move through properly. No thanks. Deleted as quick as it was installed.